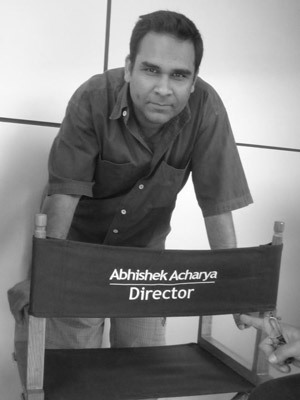 Carpediem Films, a Bombay-based film production house, was founded by Abhishek Acharya in 1998. Abhishek is an English Lit from the prestigious Presidency College in Calcutta. who began his advertising career in the creative department of J.Walter Thompson, Bangalore, before moving on to Procter & Gamble, Bombay as their Television/Commercial Production Manager. In these early years, Abhishek taught himself linear and non-linear editing, and when he began to work for himself a few years later, his passion for editing immersed him in a variety of stimulating projects – documentaries, commercials and audio-visuals – for various directors and advertising agencies in Bombay. Before long, he had made the inevitable leap into directing. Carpediem, the company he founded, had just one objective – to be honest to the job at hand. To tell a story with truth, and in his own style. and stylish film-maker . Today, Abhishek creates advertising films for a range of brands and products – uniquely Indian products such as anti-itch creams to office-going footwear, global fast-food chains to glitzy investment banks, every story is told with sincerity, every brand is made to rise above the clutter, and connect with the consumer. Carpe Diem, Latin for “Seize the Day”, is both the name and motto of his company. To him, seizing the day is all about doing the work, doing it well, and delivering what’s needed, and some more, all within the parameters of time, budgets and brand aspirations. Needless to say, up until today, not a day has gone by when Carpediem hasn’t, well, seized the day.